Safari is nothing like being at a zoo, just like visiting the Louvre or the Guggenheim can't be compared to seeing a painting at a high school art exhibition. These are wild animals and you're immersed in nature's theatre, amazed by the perpetual drama and charm. You've got front row seats and there's an intimacy to every moment, whether you're watching lionesses hunt or tracing the emotion in a zebra's eye. Unlike a painting, a safari can't be encapsulated in a single scene. Even after countless visits to Africa, we can't comprehend the scale of what's on offer. Nobody can. Picturing 100 elephants is just about possible. But what about the 100,000 that roam around Botswana's Chobe. You don't see a zebra, you see thousands of them huddled together. In Tanzania's Serengeti it's not one wildebeest, it's over a million, scattered as far as the eye can see in every direction. Destinations like South Africa's Kruger National Park or Namibia's Etosha are bigger than many European countries. There are plenty of exciting moments waiting for you. Within this epic scale there's a wonderful diversity. Every angle is different, every day brings new scenes, and every person will have a different experience on the same savannah. You're spoilt for choice and for a first-time safari we like to recommend destinations that offer an array of experiences, with game drives complemented by a half-day walking safari, maybe a hot air balloon safari, along with night time drives or journeys by boat and horseback. Most luxury lodges offer fully flexible programs that are personally tailored day to day, so you can try out different activities then adjust your itinerary to what you enjoy most. 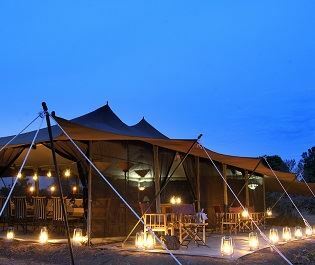 Your first safari will be tailor-made for you. 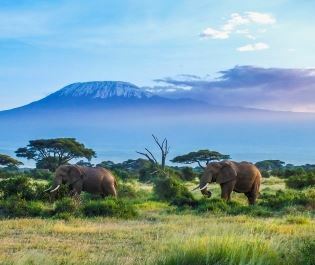 Famous experiences are top of many people's wish list, the likes of gorilla trekking and the great wildebeest migration, Ngorongoro Crater and the Okavango Delta. Every safari landscape is absolutely unique so we really encourage visiting at least two different parks or reserves; the many places you haven't heard of before are also magical destinations and we really like to share our knowledge of Africa with you. We've explored the continent and understand that different destinations will suit different visitors. 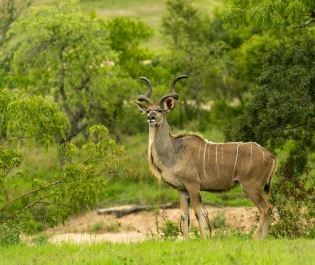 So picture your perfect safari experience and we'll recommend the parks and reserves that will make it happen.